As Margaret Atwood so finely put, “In the spring, at the end of the day, you should smell like dirt”, we couldn’t agree more! The birds are chirping, the days are getting longer (and warmer!) and it’s the perfect time to do a happy dance and get into the garden. Get up and garden! Trending – Gym in nature! Giving yourself a good workout in the privacy of your own backyard is much nicer and cheaper than taking out a gym contract, and you don’t have to force your ‘love handles’ into unbecoming lycra! While you are getting fitter and trimmer with pruning, weeding, composting, raking, digging, planting and mowing, your garden will reward your spent time and perspiration with lush growth and great harvests of flowers and edibles. Another advantage is that spending time outside in the sunshine and fresh air, has a positive influence on your psychological health as well – it relieves stress and depression too. Cape thatching reed (Elegia tectorum): This graceful restio specie is found from Clanwilliam in the Western Cape to Port Elizabeth in the Eastern Cape and naturally grows in moist, sandy dongas. The plant is, however, quite hardy against frost and dry conditions and will grow virtually anywhere. It is a fast grower with a rounded, tufted growth habit and can reach a mature size of about 1,5 m high, with a spread of 1,5m – 3m. The reed-like stems are dark green and smooth with dark brown bracts. Slender, compact flower spikes with brown bracts appear in autumn. Vygies (Lampranthus) – amongst the many species with upright or trailing growth habits, there is a wide colour range which includes white, cream, pink, salmon, red, yellow, mauve and purple. Smother your dry zones or rock garden with vygies – few other plants can beat their spring splendour and economical water usage! Osteospermums - The striking bold colours of this indigenous beauty clearly dispel all and any suggestions that indigenous gardens have to be dull, dreary and boring. Like other indigenous daisy-type flowers, Osteospermums require full sun for the flowers to fully open. As such they are ideal specimens for rockeries, borders and flower beds. They are also highly suited to container plantings, with the prostrate growing varieties performing well in hanging baskets. Dainthus Dash - Sweet William is an old-fashioned cottage garden plant. This selection from the Dash series is unusual because it acts as a long-lived perennial, instead of a biennial. It bears masses of showy clusters of fragrant ‘magical’ flowers that open white and mature to shades of pink and rose, late spring into summer. Excellent as a cut flower. Plants are easily divided in early autumn or spring. Remove fading flowers to encourage more buds to form. Prune plants back hard in midsummer if they become scruffy or floppy. Add bright colour to the hottest and sunniest spots in your garden with bedding Verbenas available in a wide colour range from soft pink, hot pink, purple to reds. These bushy little guys grow about 25cm high and wide. They love sandy, well-drained soil and regular water. 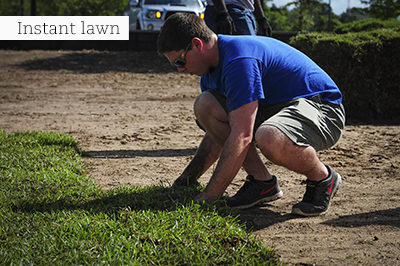 Q: Is spring a good time to lay a new instant lawn? And, to save on cost of the sods can it be laid in a checkerboard pattern? 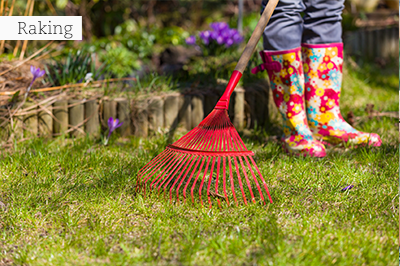 A: Instant lawn can be laid in any season, but spring is the best time in colder regions. To lay the sods in a block pattern can save money, but if not done with care, will result in a very uneven lawn which will be expensive to fix. After laying the sods and tamping them down with a spade or wooden block, you need to fill the open spaces between them with a mix of fine compost and river sand, to the same level as the sods. Q: Can one use ordinary garden soil as filling or for top dressing after spring scarifying an existing lawn? A: Never use garden soil or so-called ‘topsoil’ as it can cause bad drainage or could be infested with dormant weed seed. Rather invest in lawn dressing. Pomegranate ‘Wonderful’ (Punica granatum) is a leading cultivar with a resistance to adverse conditions and a high yield potential of huge blush red fruits. It is a small deciduous tree (2,5m high) for climates with cool winters and hot summers. Olive varieties – these hardy, but beautiful trees with their dull green leaves with the silver reverse, can tolerate very cold (and hot) temperatures and wind. Good varieties are ‘Manzanilla’ and ‘Mission’. Olive trees are not only functional but grow into really pretty shade trees that blend well within any planting scheme or garden design. Fine tune roses for a spectacular flower flush next month. Pinch-prune about a third of the shoots, start increasing watering to at least twice a week. 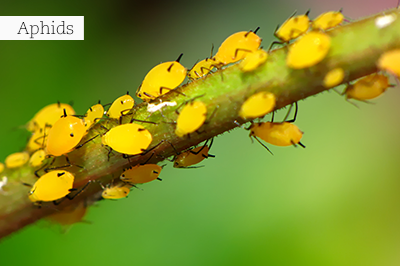 Fertilise again at the end of the month and spray fortnightly against pests and disease. Balconies and patios allow one to garden really intensely in small spaces. Fill up roomy pots with bright, spring-flowering Azaleas and Barberton daisies. Hang up hanging baskets with new petunia varieties in gaudy shades like Petunia ‘Baby Doll’ and ‘Night Sky’ – all new kids on the block! Vertical gardening on a patio is a lot of fun. Recycle old wooden pallets and fill them with succulents, herbs, or colourful annuals. Paint one wall with the brightest shade you can handle and also some old clay pots with the same colour. Ask your handyman to make a few iron rings big enough to hold the painted pots, fix them to the wall, and fill them with pretty annuals in flower or a collection of succulents. Buy two plastic or clay pots of different sizes. Fill the bottom, larger pot with good quality potting soil and a small handful of bone meal. Place the smaller pot, also filled with soil mix, inside the bigger pot on top of the soil and plant rooted strawberry runners in both. If you buy quality, fairly mature plants now, you will see that you can easily divide them into rooted runners to plant. 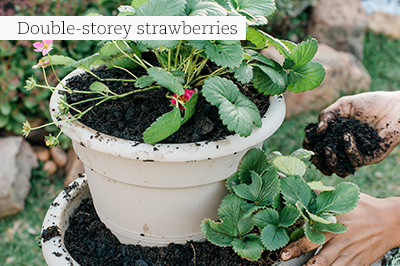 This project will stretch your strawberry season deep into summer. Start planting begonias and impatiens in shade and Sunpatiens in sun. Start spraying fruit trees against fruit fly and codling moth once about 75% of the blossoms have dropped off. Spray every 10-14 days. The blooming power of some tall-growing perennials, which are dormant in winter, can be increased by pinching out the main stems in spring when they start emerging again and are about 20cm high. 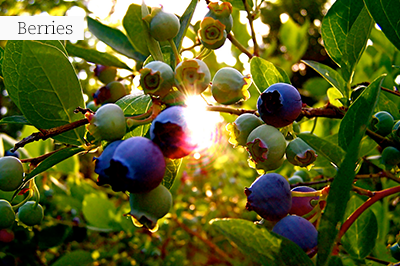 Berries of all kinds are good for your health and different varieties are readily available. To ensure a good crop, prepare beds by working soil over with a fork and adding in compost and a balanced fertiliser for fruit and flowers prior to planting. You are not done with bulb-planting, as the summer-flowering bulbs are now on sale. Start planting coloured Zantedeschia hybrids and dahlias. Weed regularly before it gets out of hand. Treat weeds on paving, pathways and in gravelled areas with a non selective herbicide.